The commercial property is comprised of +/- 9,020 sf and is situated on approx. 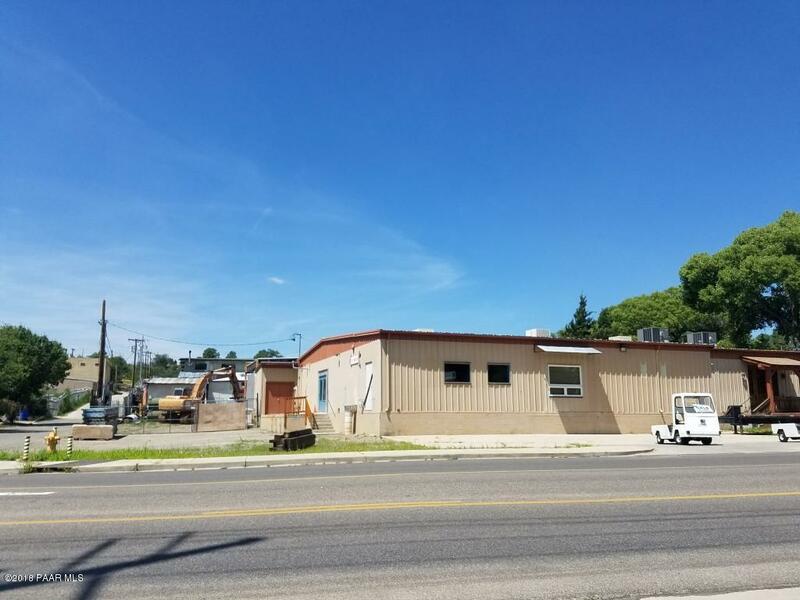 1.52 acres of prime industrial (IL) zoned land in the heart of Downtown Prescott. Kuhles Salvage has been established at this location since1993 has been Prescott #1 local hometown metals recycler. Owner plans on retiring soon. The property is being offered for sale at $1,200,000 and is also avail for lease (all or part). The property offers excellent street frontage on 6th Street & E. Navajo Dr. The entire property is chain linked fenced with barb coil, is gated & offers paved concrete yard throughout. The property is bordered to the south by an alley way that offers drive through access from the north & south ends of the property. 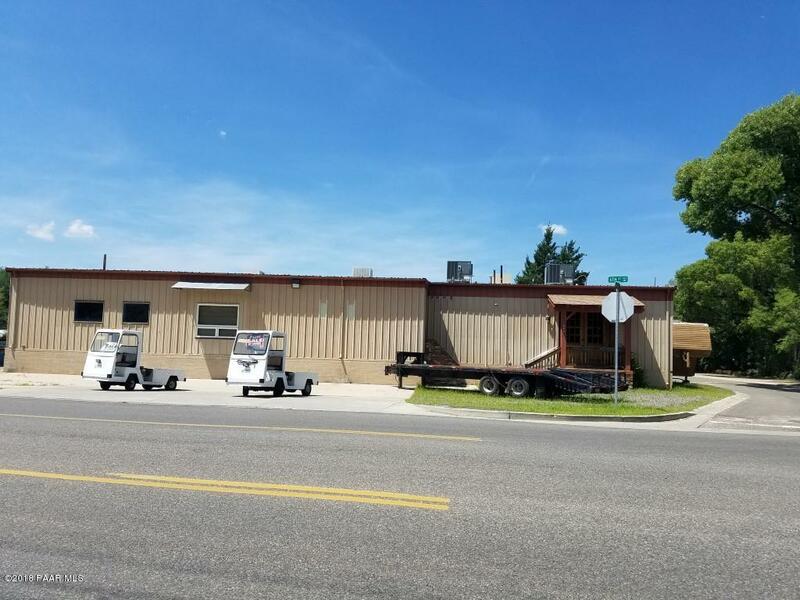 The property is comprised of three main sections (CLICK More TAB...The commercial property is comprised of +/- 9,020 sf and is situated on approx. 1.52 acres of prime industrial (IL) zoned land in the heart of Downtown Prescott. Kuhles Salvage has been established at this location since1993 has been Prescott #1 local hometown metals recycler. Owner plans on retiring soon. The property is being offered for sale at $1,200,000 and is also avail for lease (all or part). The property offers excellent street frontage on 6th Street & E. Navajo Dr. The entire property is chain linked fenced with barb coil, is gated & offers paved concrete yard throughout. The property is bordered to the south by an alley way that offers drive through access from the north & south ends of the property. The property is comprised of three main sections (East, Center & West sections). The East section (690 6th St.) consists of +/-6,000 sf flex space metal building. The floor plan contains a lobby/reception area, separate men/women restrooms plus two additional restrooms (2 with showers & ADA), a large open floor +/- 5,400 sf, and adjacent open floor space of +/- 2,000 sf, and two additional open space areas of approx. 800 sf each, two in-line truck docks, one 12 foot roll-up door that connects to a large +/-15'x40'x14' outdoor covered & sprinklered storage area with cantilever racking system. The building has been upgraded with all life safety standard, wired, is fully fire sprinklered, insulated, climate controlled. The building also features approx. 40 parking spaces, 400 amp, wired for 3 phase power, separate water, electric & gas meters. This East section is also being offered for lease at $4,500/mo. plus NNN's. The Center section consists of metal building with an enclosed conditioned shop space +/-920 sf along with a enclosed storage areas approx. 2,500 sf (approx. 30'X80') and outdoor covered storage of +/- 1,200 sf (+/-20'X60'). There is an adjustable truck loading dock on the south side of the building along with a 12'X12' Roll-up door and bath room. This Center section is also being offered for lease at $2,000/mo. plus NNN's. 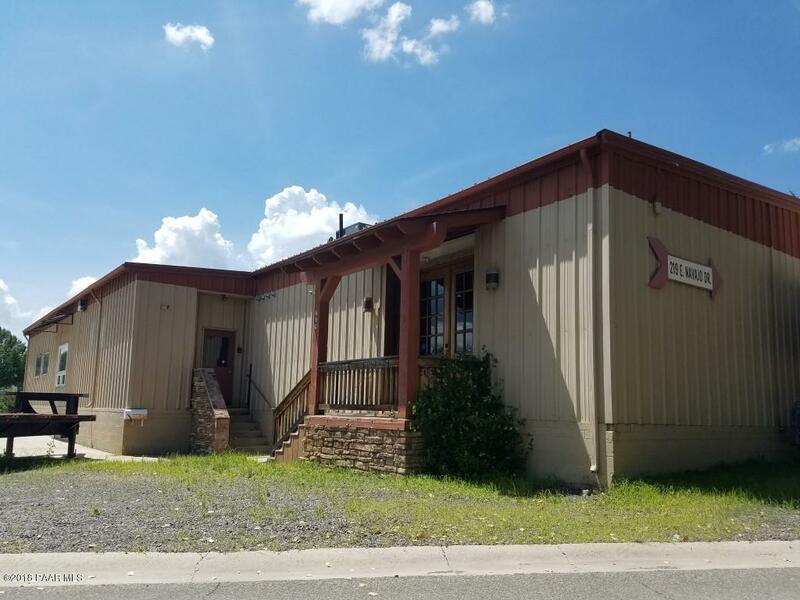 The West section (219 E. Navajo Dr.) consists of a 2-story metal building that is +/- 2,100 sf. The first-floor plan offers a lobby reception area, two offices 2 bath rooms, a covered storage space +/- 900 sf (+/-15'x60'), 200-amp, 220-volt, 3 phase power, 200 amp 480-volt 3 phase power is available via a separate meter. The second floor is a walk up 1 bed/full bath apartment with W/D hock up of +/- 800 sf. 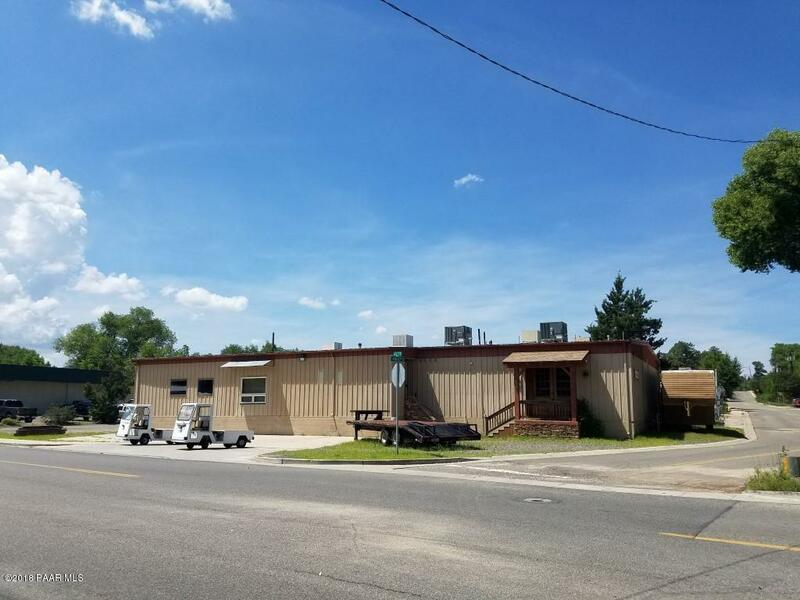 Ample Yard space on site comprised of +/-15,000 sf (+/- 100'x150') on the west side of the building & +/-5,000 sf (+/- 50'x150') on the east side of the building. There is a 10' wide by 30' long drive on scale with a 100,000-max capacity, printer/scanner. This West section is also being offered for lease at $4,500/mo. plus NNN's. The salvage yard use has been grandfathered if another operator desires to continue with this use. The current business may be purchased for a separate price in addition to the real estate. There is a recent clean Phase 1 in hand along with boundary survey. Owner may carry with approved financial & credit.